Ashley and Bo were visiting New York City during the festive holiday season from Louisiana. 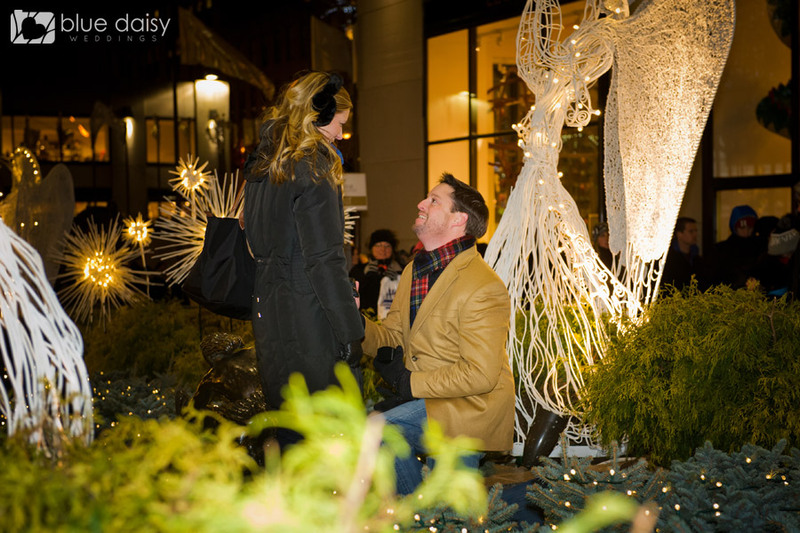 Bo chose the iconic and quintessential holiday spot, the Christmas Tree at Rockefeller Center to pop the question to Ashley. He pulled her up in between the angels, and in front of hundreds of tourists and visitors, Bo proposed to Ashley. She said Yes and many people who witnessed the proposal cheered for them. Some people wanted photos with the happy couple and congratulate them. 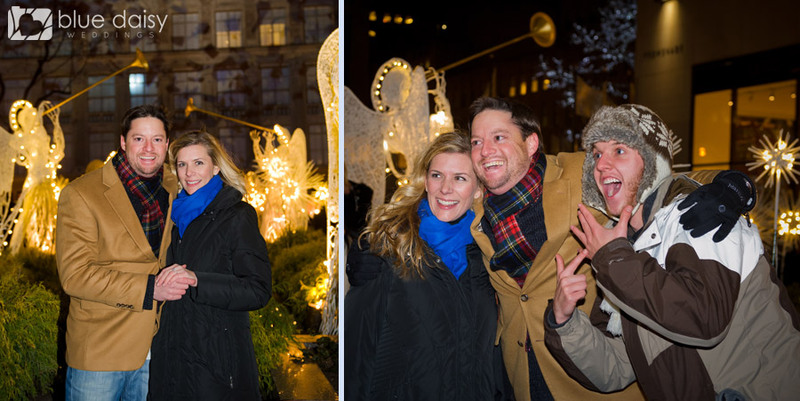 After the proposal we took some portraits in front of the Christmas angels, the Christmas tree with Bo’s signs, and in front of the nearby Christmas decorations along Avenue of the Americas and Radio City Music Hall. Congratulations and best wishes to Ashley and Bo!